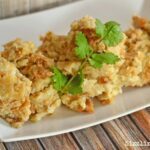 Make this Portuguese Stuffing, but without Meat! I know this is totally a random recipe as we enter the steamy and very humid month of June, but I felt compelled to share it. This past weekend we had a family cookout and my mom brought over some Portuguese bread rolls or papo-seco (pop-secs). We didn’t end up using them so they sat on my counter for almost 3 days. If you have ever had these rolls before, you know they get pretty stale fast. So I immediately thought to make my delicious Portuguese Stuffing without meat because I had everything in my fridge and pantry. Plus, this stuffing recipe is so super easy and takes literally like 15 minutes to make! It will pair well with my grilled chicken later tonight! I did have chourico in my fridge too, but I wanted it to be meatless this time around. 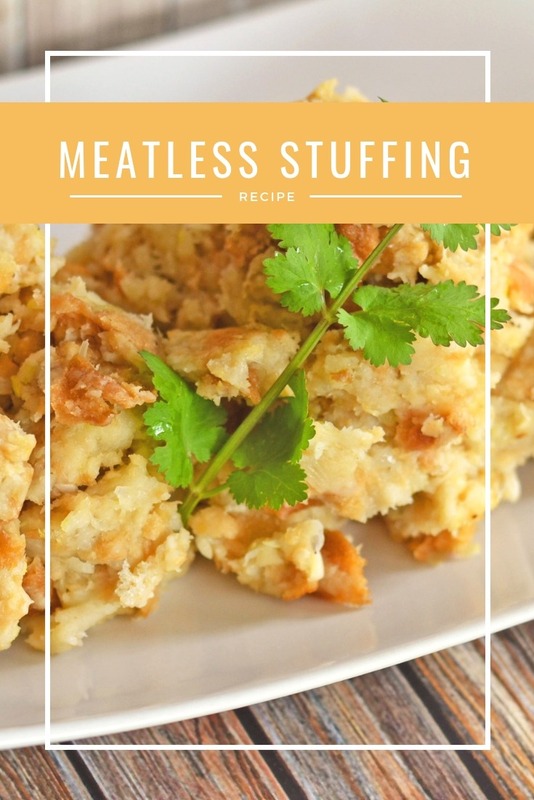 The very first time I made my meatless stuffing, my family devoured it super quickly! It has a very addictive taste that is mild, and so delicious. Around the holidays I generally make 3-4 times this recipe, but for a regular 1-2 meal side the recipe below will comfortably serve 6. The ingredients are fairly common too so you may even be able to make this tonight! This stuffing can be kept in the fridge for about 3 days, or even frozen too! Using a food processor finely chop your onion and celery. Add your chopped veggies to the butter, and sprinkle with salt and pepper to taste. Chop bread into bite sized pieces; add to the stockpot. Thoroughly mix bread with the butter, and veggies; slowly add in chicken stock. Cook for 1o minutes over medium heat; constantly stirring to slightly brown all surfaces. Serve as a side for just about any meal. We love this around Thanksgiving, Christmas, and Easter. 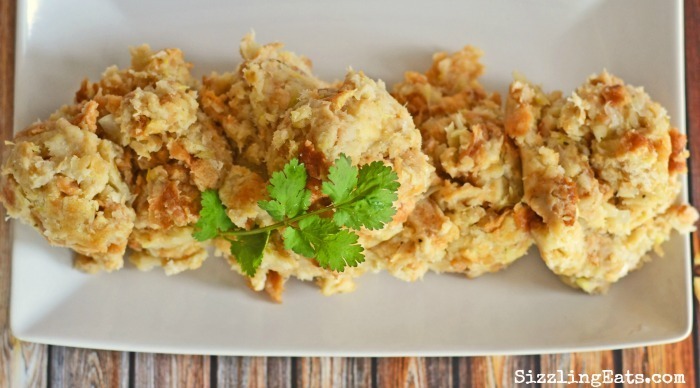 Get the printable version of this Portuguese Stuffing without Meat below! 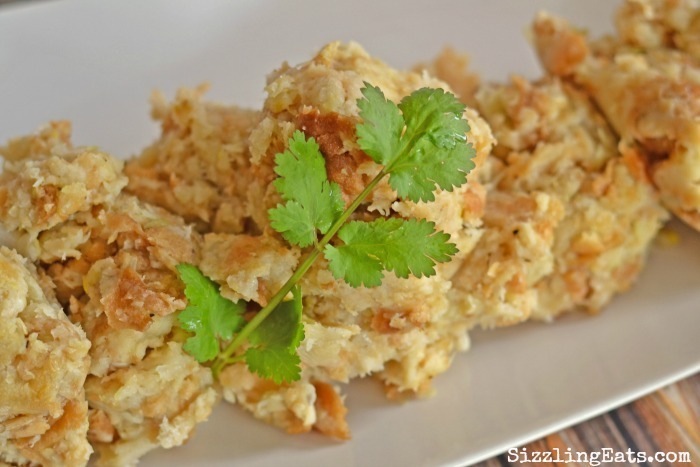 A delicious stuffing recipe made with Portuguese Rolls. Perfect side dish for holiday meals. Chop bread into bite sized pieces. You can use your fingers. Place your stick of butter in a stock pan over medium heat; melt. If you do not use Portuguese Buns, you can use two stuffing bread loaves. You might need to adjust the chicken stock ratio. If possible, turkey or chicken drippings (juice while baking) provides the most flavor. If you can get 1 1/2 cups I would use this versus the stock. Or, you could use half and half. It’s cute that you call this meatless, but isn’t all stuffing meatless? LOL. I would love this because my mom’s stuffing always had giblets in it. YUCK. I prefer a meatless stuffing, and this sounds so good! This looks amazing! A yummy family dinner I am sure, I am always up for stuffing. oh that sounds really good, I have never seen a recipe like this before. I’ve never made anything like this before, but I’m so intrigued that I need to try! Thanks! Yum! I don’t think I’ve ever tried anything quite like that but it sounds amazing! Yum, I love anything meatless! This would make a perfect side for dinner tonight! I’ve never heard of pap-seco and I’m a super picky eater, but you sold me – I want to try it! Your pictures look delicious! This sounds like a really interesting recipe to give a try! My mom likes to add sausages to our stuffing but I wouldn’t mind giving meatless a go. I have never heard of papo-seco, but this recipe looks really good. I love stuffing. Your recipes looks amazing. I have never heard of papo seco but it’s hard to go wrong with stuffing. Thanks for the new recipe. Wow, this sounds really unique and tasty! I really want to eat less meat around here, so I will have to try! Confession…at Thanksgiving I eat more stuffing than I do turkey! Your recipe looks great! Not heard of this before but it does look good. Yummy! I never heard of it but I love stuffing so I would love to try it. Your stuffing recipe sounds delicious. I normally just buy the stuff in the box. I’ve never heard of those rolls before but this sounds absolutely delicious! Thanks! My mom always made it like this all the time it’s delicious. The best Portuguese stuffing ever. The best Portuguese stuffing like my mom used to make. This is the best recipe ever. I don’t like meat in my recipe.